The game is available in English, French, German and Spanish language ! 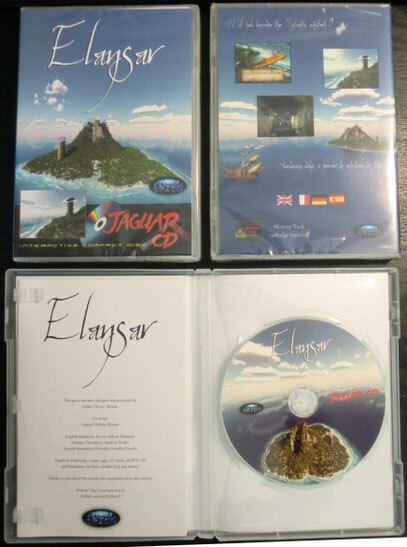 This new CD version of Elansar now include improved graphics and Full motion videos ! This is a professionally burned and printed CD-R, inside a standard clear plastic DVD box with a nice color cover and a 4 pages manual including instructions + hints & tips ! A Memory Track cartridge is Required to save your progress in the game !